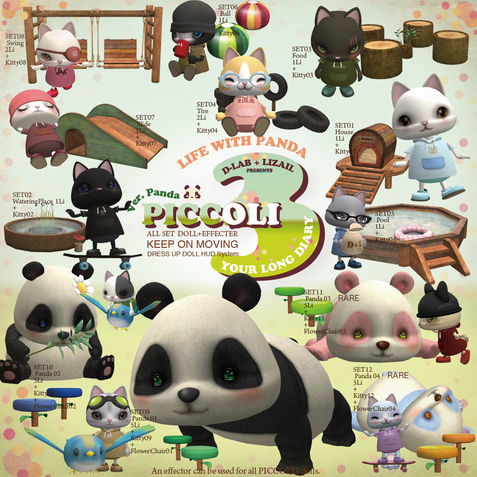 Our theme is "Continuation" and "Evolution" in PICCOLI Series 3. We always wanted to be able to add new effectors to a PICCOLI series, but were technically unable to do so in the past. A great news is that we broke through this limitation. We will be releasing vast numbers of new series for your enjoyment. Our experience in PIPPIP POPPO reflected in PICCOLI3 and it will continue to evolve. We sincerely hope the dolls and effectors will be loved for long long time. Live in your yard and randomly visit all effectors placed near by. and rests. Some effector contain animations and/or food for avatars. HUD is to change Doll clothings. REZ dolls within 10m from an effector. Click the dall to bring out a menu, then press [START]. ** Animal Effectors move like the dolls. Activate them with [START] button. Click Dolls to bring out a menu. Select "Attach" and choose location. Dolls talk in local chat when [TALK] button pressed, attached, and/or find avatars around it. English/Japanese language selection can be made from [LANGUAGE] button in [SETTING] menu. This function can be turned ON/OFF by [Talk/ON(OFF) button in [SETTING] menu. You can make dolls to pose for picture taking, etc. with [POSE] button in the menu. 1. Wear 'PICCOLI3 DRESS UP HUD' included in a folder. 2. 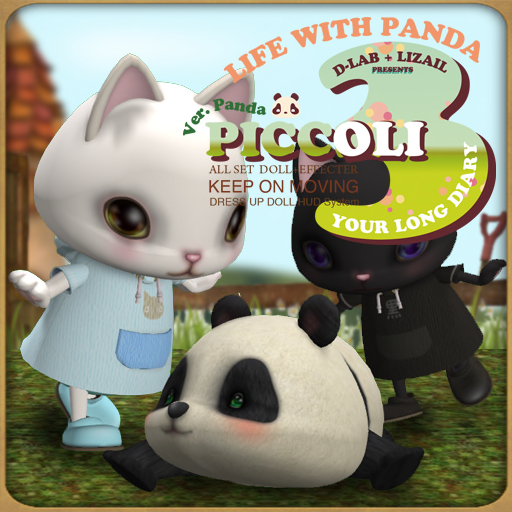 Touch the doll you want to change clothes and select [DRESS UP] from [SETTING] in the menu. 3. change clothes and click X at top right corner to end. 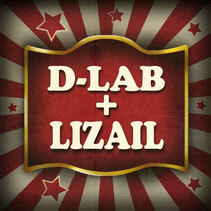 Obtain Original Texture Template Kit from D-Lab Main Store and follow the instructions included. - Such a special time occurs once in 2 hours. - There are more hidden performances for you to find.